wash those windows good now, ya hear? – RV Cheaper! May 12, 2017 October 27, 2017 RV Cheaper! wash those windows good now, ya hear? 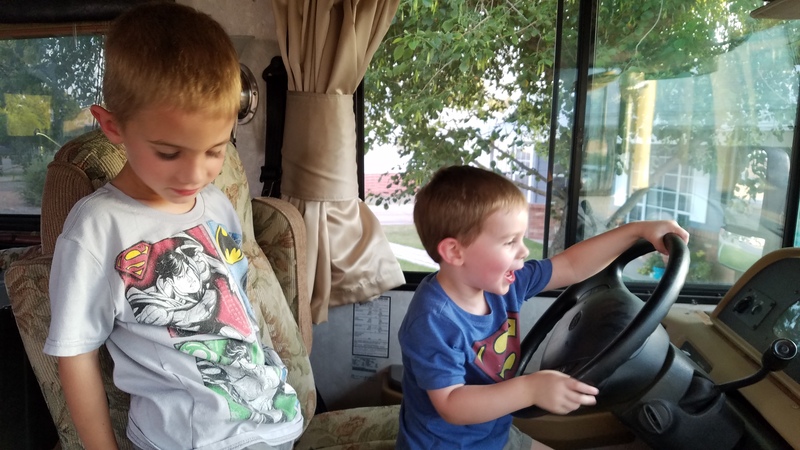 Two of the grandsons were over and found out I was out working on the RV, of course they wanted to help. 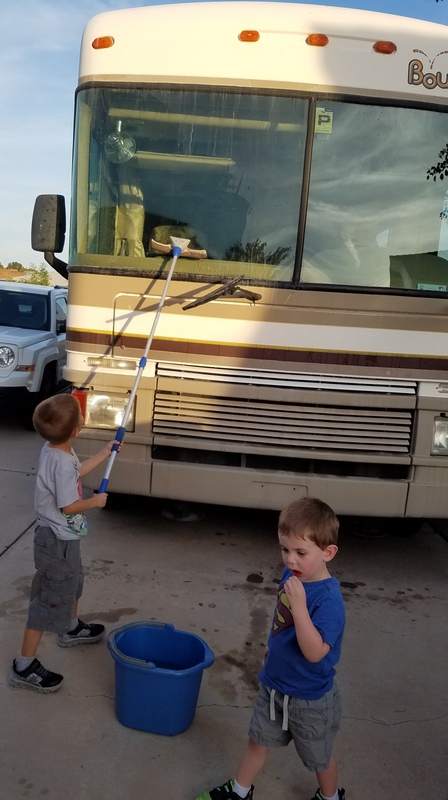 Grandpa put them to work on the windshield so we’re ready for an upcoming trip. They surprised me again, doing a much better job that I expected! Brayden taking his turn, Gavin was done before I could get a photo. That pole is pretty heavy! 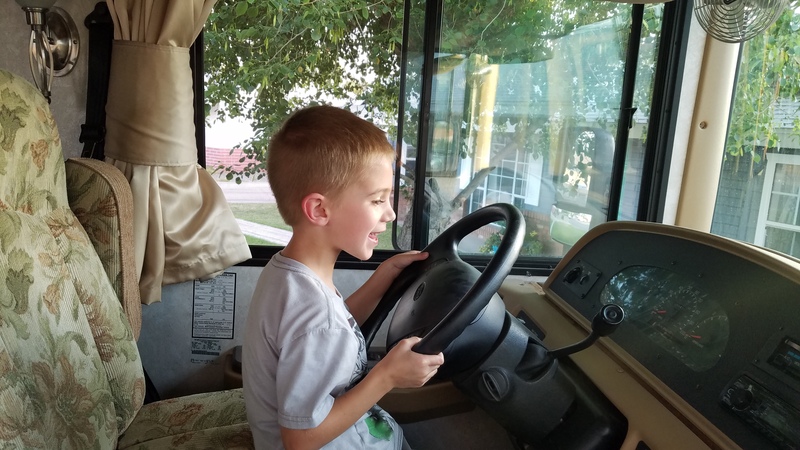 But with every job there has to be some fun time, they wanted to drive the bus… The horn got quite a workout, more than the windows and they couldn’t take me too seriously telling them to stop when I was giggling with every word.